Have you faced one obstacle after another lately? Has upheaval caused the bottom to fall out from your life? The spiritual message behind stress, struggles and upheaval is in simple terms this: Evolve or die. You are a here to learn how to deal with problems so acknowledge your difficulties, master your circumstances and learn how to cope with what life throws at you. All life forms must adapt to an ever changing environment. Every lesson you face in life is a lesson that you are being given an opportunity to master; like it or not. Did your spouse abandon you? Are you in dire circumstances financially? Do constant roadblocks thwart your efforts to achieve your goals? Is the stress and pressure of life choking you? Then look closely because there is a lesson in there somewhere. If fact, whatever you are facing that is difficult and stressful is a lesson that you are here to master. The very nature of life is change. Without the stress and friction caused by change you wouldn’t be forced to grow, to fulfill your potential and evolve. Anyone who tells you life is supposed to be trouble free is either lying to you or ignorant. There is no living creature on the planet that doesn’t have to deal with challenges of some sort. Even animals have the daily challenge of finding food and making sure they don’t become meals themselves to some other animal. Within every challenge you face is a spiritual message about what you are supposed to be learning. If you get quiet and listen you will understand the higher meaning behind what you are going through and what you are meant to learn from this challenge. You cannot be all things to all people. Meaning develop your self esteem. Let go and stop trying to control everyone and every circumstance in life. Meaning you are driven by your many fears. Face reality and accept what you cannot change and move on. Meaning you are stuck in the past. Pay attention to what you have, not what you don’t and give thanks. Meaning you are too focused on the negative instead of the good. The bottom line is this, once you hear this message, internalize it and take the right action the challenges and struggles will begin to sort themselves out. Things may not shake out the way you want them to but your life will begin moving forward again. And that is progress and that is how you will learn and evolve. Life is not all smooth sailing. There are times when there are great storms in life and you, as the captain of your ship must learn to navigate through the storms. If you cannot weather the storm you will perish and that is the underlying motivation for solving your problems. But the good news is that once you learn to navigate a storm or two you never forget how to do it. The skills and confidence you acquire through making your way out of challenging circumstances stays with you for the rest of your life and will prevent you from getting caught by the same pitfalls in the future. How do you hear the message encoded within struggles? 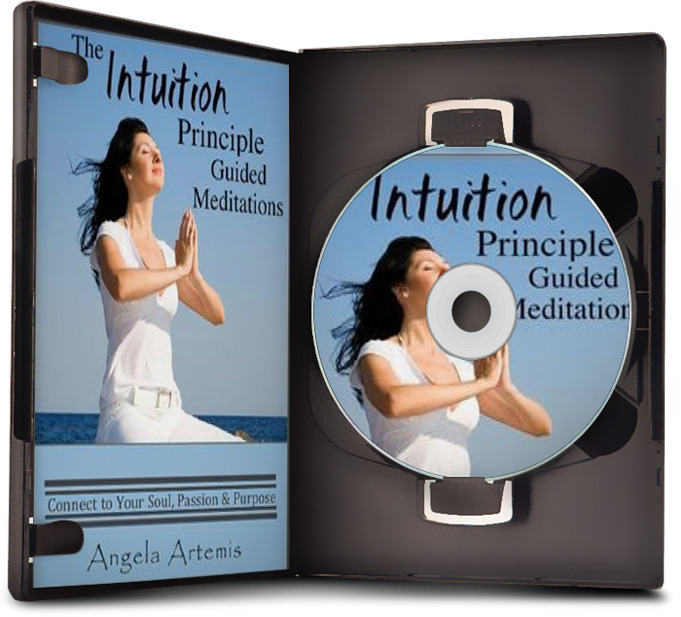 By going within and listening to your inner voice, your inner wisdom; your intuition. Whenever life becomes too much to manage – stop – and know that you’ve veered off course somewhere. It’s time to go back to basics and listen to what that wise inner voice has been telling you all along. Your intuition will not only tell you the truth about the spiritual lesson you must learn but illuminate where you went off course and what to do about it. Once you understand how you went wrong and taken action to get back on track you have mastered another lesson and hopefully will never make the same mistake again. Why do we make the same mistakes? If you are seeing a pattern of the same kind of mistakes over and over you must first forgive yourself and then realize that we all learn in our own time. If you see this pattern just now it only means that you were not ready to internalize the message until this present moment. The fact that you are ready though is cause for celebration! You are now ready to awaken and that means that things will change for the better soon enough. 1. Realize that stress and struggles are simply signs that something needs to change – namely YOU as you cannot change others only yourself. Nor do struggles imply that you are inept or being punished. If you think such a thing release this belief at once. 2. Take stock of what you have. Look over your life and and count your blessings. What do you have that is good? Make a gratitude list for everything and read it several times a day. To get out of a downward spiral you must look up! 3. Close your eyes and go within. Relax and ask your higher intuitive self, that wisest part of you, to show you the reason for all the stress and struggle in your life. To reveal to you where you went off course and where you may have stuck your head in the sand and what to do about it now. This is a very important step. Don’t skip it. What you will find is that your inner wisdom – your intuition– was trying to get your attention all along. 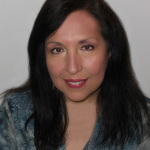 What you will learn about yourself will expand your conscious awareness of how your inner wisdom communicates with you. And this will be an invaluable lesson going forward for now you will have a blueprint for the next time you are dealing with a challenge. 4. Recognize that there will always be circumstances in your life that are beyond your control. You know you cannot control the actions of others. The only thing you can control is your reaction. Learn to roll with the punches and not tense up and a huge source of self-created stress will subside. 6. When the bottom falls out of your life due to upheavals it’s natural to sink to your knees and plead and beg with Universe to restore life as you knew it but, highly unlikely that it will happen. Bottoms fall out of lives every day and for the same reason; the life you knew was on shaky ground. When shaky ground gives it is because we chose to tolerate or overlook many things from the beginning of the situation. The solid foundation was never there but we deluded ourselves and refused to see this in order to stay in our comfort zone. An upheaval in your life is the greatest sign that you need to grow – to evolve. It says this other situation wasn’t healthy and was holding you back from growing and reaching your full potential and that is why it crumbled. See it as a new door opening. A door that will lead you to freedom, new possibilities and a new life. Take stock of your present reality no matter how painful, accept what is, work with it and move on toward your new life and new you. 7. To lesson the likelihood of the bottom dropping out of your life again develop a habit of reviewing each day. Be honest. Acknowledge your fears, feel your feelings and reflect on your reactions to daily stresses and challenges. Deal with your problems before they snowball out of control again. Address any needed changes and seek help if necessary. The trick to being successful at navigating life’s problems is to face them immediately and to interpret their spiritual meaning. Ask yourself what you need to learn from this situation and how it will benefit your overall growth? Accepting the lesson is the first step in taking back control of your life. Now you will see it all clearly and honestly and be able to deal with what is. If you can do this you can also make course corrections before life becomes unmanageable. Accept that life will always present challenges. Welcome them and know that by dealing with problems you will grow more capable each time. And as you grow more capable you will develop a stronger sense of faith that all of life always unfolds perfectly, no matter what has happened, to support your growth and spiritual development. What challenges are you facing? What is their underlying meaning in your life? What do you most need to learn from this situation now? If you enjoyed this article spread the work share it with a friend on Twitter, FB or Google+. Thank you! P.S. 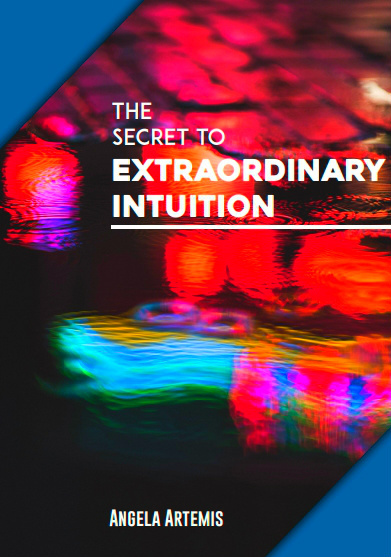 Want to know how your intuition can guide you through life? – click here! Hi Ange…I know I’m reading this a little late, but actually just in time. Having one of those days and this was the perfect reading to redirect my thoughts and focus. Thanks so much! This is just what I needed, my life has been so stressful as of late. I need to take a minute to breath and relax. Thanks! You’re welcome. Nice meeting you! I really needed to read something empowering like this today. Thanks so much for the care and knowledge put into this post! I’m glad this post helped empower you today! I love this and you really got to the heart of the matter. We must have gratitude for all our struggles knowing they’re getting us to the next stage in our life. I’m so glad you enjoyed this post and found it worthwhile. Gratitude works for so many of life’s situations. You can never wrong with an attitude of gratitude! The idea that we are hear to learn and grow is a common one, but I’ve begun to wonder if that is really why we are here. I have an alternate theory that we are here to experience a physical world and all that it entails, including physical pain and pleasure and all the raw emotion that accompanies us in this world. It’s a bit of a leap for most people to consider this alternate theory, but it does reduce stress of achievement (and failure) and moves the focus on simply experiencing everything we go through. By simply experiencing the physical and emotional we meet our purpose. We have no way of knowing why we are really here, but while we are here we may as well do our best to enjoy life, and part of that is to get through all the ups and downs. I think you offer some great suggestions in this area. It’s so nice to see you here. I hope all is well with you? That is a very valid point part of which, I too believe very strongly. I didn’t go into that in this article though to keep it focused on solving the problems we face. I believe that we are here to experience the physical world in all of its facets just as you say. We don’t get the chance to experience pleasure, raw emotion and physical pain in the spirit world but I believe this is a very real and important part of expanding our consciousness, understanding and compassion. Where we differ however is that I do think we need to grow and learn from our earthly experiences and to become better people. And, we do “grow” from experiencing raw emotions and physical pain as well as from dealing with frustrations, obstacles and problems. When we return to the spirit world we take all of our experiences and expanded spiritual awareness back with us. I don’t think it has anything to do with achieving material success on the physical plane however. We do need to learn how to support ourselves while we are here though but wealth and fame are not the goals although it does happen to some people during their lives. I think you make some very valid points! You may very well be right but we’ll both have to wait and find out for ourselves. I thank you for sharing your point of view with us Eric. Beautifully said Angela. At the end of the day we are choosing our reactions to life, our perspective, all filtered through the veil of our consciousness. And as you say so well, taking time to sit in the silence, or stand, or walk, whatever works…but taking the time to connect to that spark of the divine in us all, can lead us to a greater understanding of the next step on our path. Which might very well be simply to sit there for a while and wait. Thanks for this wonderful reminder that our life is at it’s heart and soul a spiritual journey. I love what you had to say in your comment. We are on the same page. There is nothing we experience in our lives that is not shaped and filtered through the lens of consciousness. When our lens is smeared with fear or negativity the life we experience will also be tainted by those attitudes. I like my lens to by shiny and clear and full of light! And yes, sometimes the best thing we can do when life doesn’t go our way is to wait, try not to worry and have faith that the pieces will fall into place. I am reading the Intuition Principal for the second time now. I have found the past two months very stressful and have allowed myself to dwell on what ifs for too long. By doing so I feel I’ve jeopardized my intuition considerably. This article helped so much as far as allowing me to see what has always been right before my eyes. The Intuition Principal will get me back on the right track. Thank you so much for this great article and also for the great book! 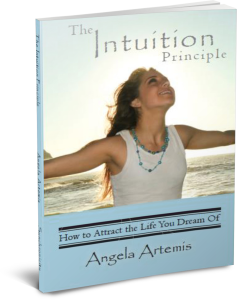 I’m so happy to hear that my book, The Intuition Principle: How to Attract the Life You Dream Of has been so useful to you! I think it’s natural for us to dwell on the stress, especially at first, but if it goes on too long we draw more stressful situations to us because that is the level our consciousness is focused upon. And, you’re right when you remain in state of stress you do compromise your intuition. It cannot get through that heavy bandwidth of fearful thoughts. I’m so glad the article illuminated some things for you. When we view our llife circumstances as mirrors for what is going on within us we can see how our own attitudes and beliefs created our situations and then, we work to change things for the better. Good luck on your journey and you’re welcome for the article and the book! I have wondered how you were doing since you went back to work full time. It is exhausting and overwhelming to deal with traffic, commuting, the stresses of the job and being a mother and wife. I don’t think there is a woman on the planet that has this all under control. I sometimes wonder if this might be a generational karmic lesson that we (women and men) all have to learn from in the US? Perhaps the lesson is that we are kidding ourselves if we think that the American Dream of living a better life than our parents can continue generation after generation? We all wanted even bigger houses with fancy kitchens and all the toys that went with the big house but how realistic is that? If both parents have to work and commute and be away from their kids 10 hours or more a day to pay for the upgraded American Dream lifestyle, what kind of life is that? Maybe the lesson for all of us is to get back to basics, hone in on what is most important in life and let go of pursuits that eat up our precious time and distract us from what is most germane? I don’t know….I’m just saying it may not be “your” lesson alone but a lesson we are all learning during this time of economic difficulty. On the plus side, I’m so happy to hear that this experience is allowing you to connect more often to the “other side.” Sometimes when have more time we don’t use it as wisely as when we have less! If this article has helped you in any way – I feel gratified and have done my job. You’re so welcome!